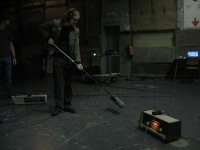 On invitation of XL AIR, artist Jeroen Vandesande transformed his installation CIRCUIT02 in a proper radio broadcast for the Radia LX 2010 festival. Vandesande (°1986, Turnhout, Belgium) completed his master studies at the Ghent School of Fine Arts Sint-Lucas and has been active as a (sound & visual) artist since 2004. 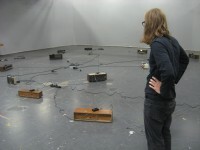 Besides giving performances he also creates sound installations and regularly works together with musicians and performers. 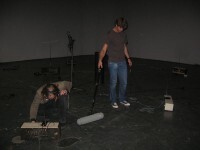 For this occasion he worked together with sound technician Martijn Veulemans and XL Air members Jan Bulckaen en Dieter Van Dam. 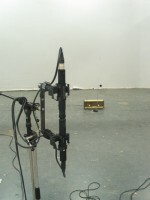 Vandesande has performed for audiences in several art centres and concert halls in cities such as Ghent, Brussels, Kortrijk, Eindhoven (NL), Utrecht (NL), Maastricht (NL), Leeuwarden (NL), Osnabrück (D), Berlin (D) and Washington DC (US) etc. 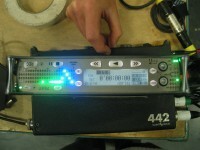 Through what can be described as a technical perversion of the Brechtian prophecy, neglecting the social and political undertone of this quote, Vandesande built a society of mutual communicating radios by providing each transmitter with the possibility to receive and vice versa. He literally changed the apparatus from distribution to communication (or what is generally understood by the use of this word). 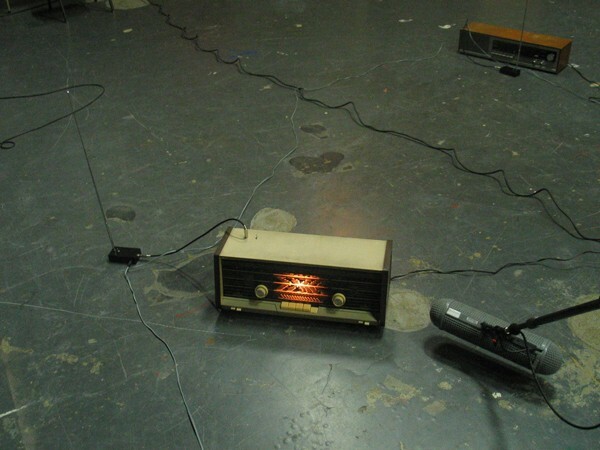 The result is a crafty and powerful feed-back network consisting of 20 (old school) radios. The Brechtian utopic idea, when carried out with technical accuracy, creates a dense cloud of feedback loops, a vast network of pipes indeed. Walking through this cloud of analogue static fog, one can recognise the individual speakers, the different voices of the different radios and find a subtle beauty in this Babylonian noise. 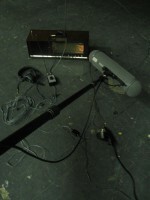 The big challenge for the RadiaLX festival, was to translate Vandesande’s ideas into a classic radio broadcast and to recreate the dynamic spatial qualities of the installation in a flat streaming signal. 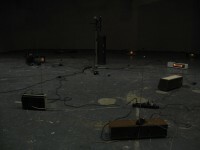 In order to do so, Vandesande decided to play with the different perspectives one can take in the spatial environment of the installation by recording the radios and feedback loops individually and from different angles with different recording techniques and different gear. 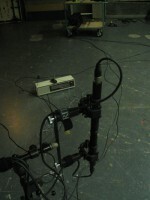 Vandesande started out with the recording of two radios communicating with each other, a broader network of radios was recorded and the modulation of AM-broadcasting with FM-feedbackloops. These sounds where recorded through spatial microfonic techniques and close-micing combined. One rather amusing outcome of these experiments was listening to AM Radio on FM band - could this be a world premiere? 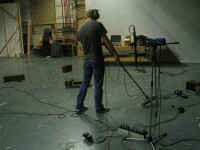 What you’ll hear is a 28 minute composition made out of the recordings we made during the experiments with the installation Circuit 02. If these experiments can teach us something, it must be that the aesthetic pleasure of the Brechtian utopian symmetric communication system is an ambiguous one. Any prophecy expecting perfection or forecasting utopian dimensions in (new) media risks to become another dangerous joke for history. 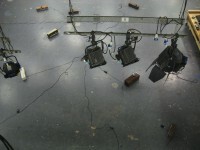 It’s in the nature of communication systems to fail, to be imperfect and to be replaced and complemented by new media. In fact these imperfections are exactly what makes communication work. The beauty of course derives from this imperfection, from this feedback and that’s what you can hear in Vandesande’s piece CIRCUIT02 BROADCAST.